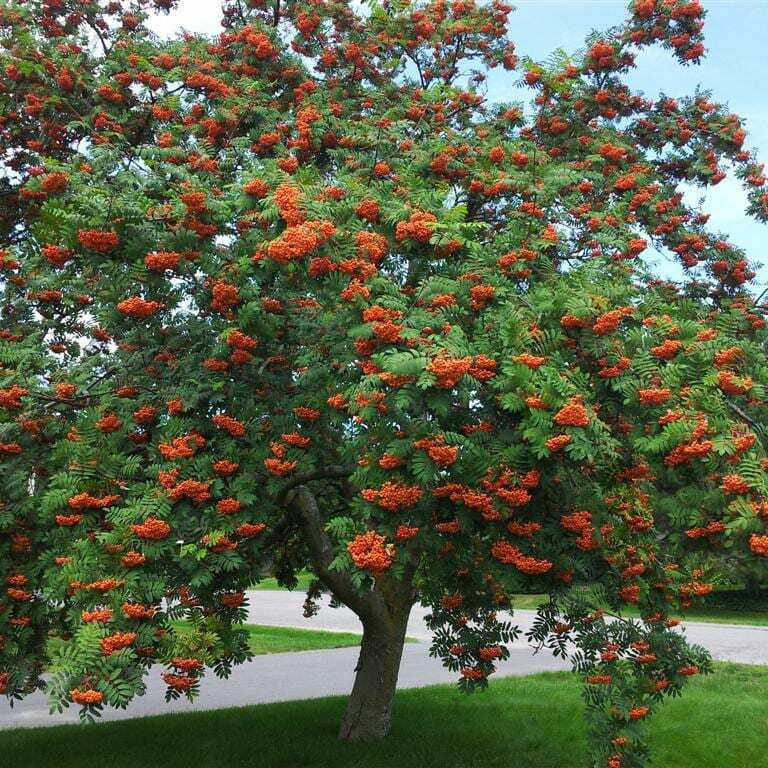 Mountain Ash ia a medium sized tree. Leaves are pinnate with 9 to 15 leaflets and dull green above. Flowers are white 8-10mm across blooming in May to early June. Fruit is glabose about 8mm across and are beautiful bright red in September lasting into the winter.